A family owned and operated Full Service Garden Center and Tree Nursery based in Hopkinton, Massachusetts. 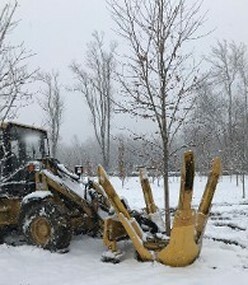 Since 1995, Hopkinton Stone & Garden, Inc., has grown the highest quality trees and shrubs, for the lowest prices in the area. 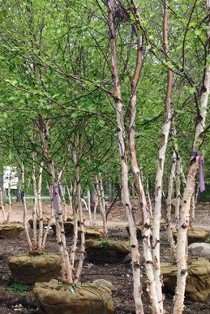 We have forged a reputation among contractors and residential customers throughout MA, who find that the Quality, Selection, and Pricing of our landscape plants is unbeatable. Full Service: Our team is here to help with your plant selection, installation, and advice to ensure that your shrubs stay healthy. Schedule the delivery and installation of your trees and shrubs. You may also do-it-yourself or hire your own landscaper. We also carry a full collection of pavers, stones, Patio Furniture, Outdoor Built-in Grills and Outdoor Built-in Appliances. to complete your exterior living space. As a member of the Massachusetts Nursery and Landscape Association, we take pride in offering the finest plant material for your landscape project. Hopkinton Stone & Garden has the Highest Quality Plants, at the Lowest Prices! Supplying Contractors and Homeowners alike with a wide variety of shade, ornamental and evergreen trees. Large quantities of trees can be shipped directly from the farm and can be reserved prior to digging! or call us at (844) 746-5581. "We love our beautiful new trees! They give us the screening we wanted and even reduce the street noise. Great advice and expert installation! We wish we had visited Hopkinton Stone & Garden sooner." "We bought twenty arborvitae to give our backyard some privacy. Hopkinton Stone and Garden dug them at their farm and installed them quickly and easily. There was no mess and the kids were playing in the yard by the next day. Thank You!" "What a great experience! We needed loads of plants for our new home and didn't know where to begin. A neighbor told us about Hopkinton Stone & Garden, and he was right. Selecting plants was stress free, simple and fun."